These learning activities cover everything in the IB guide for this topic. Lesson plans include resources to use on an interactive whiteboard and worksheets to print. There is a mix of laboratory work, theory lessons, and assessment materials with model answers. This simple sheet sets out the learning objectives, essential questions and some ideas for assessment for the following activities. Time: 1h A practical Biology lesson that will illustrate the discovery of cells in the history of Biology and teach students how to use microscopes to measure the cell sizes. Time: 0.5h How many µm make a mm? 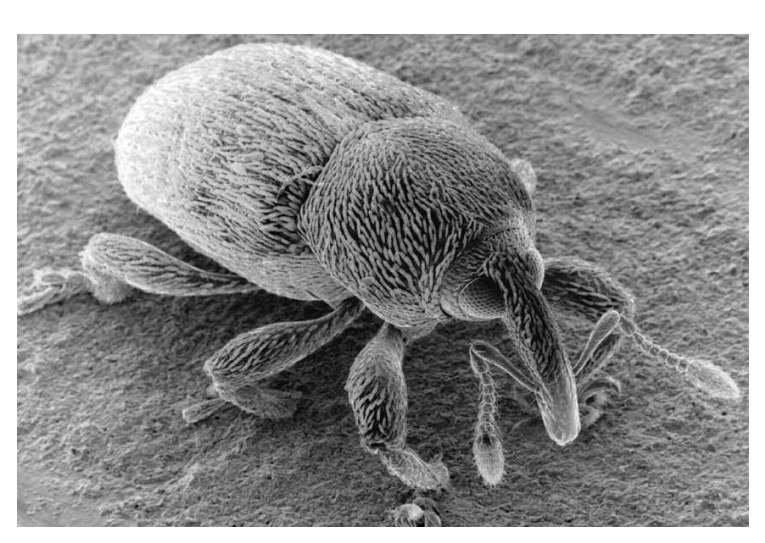 This activity gives students clear examples of biological objects to cover sizes from 1mm to 1nm. Students watch a short video clip, investigate a visual biological data base using a slider and make a display which illustrate the huge range of sizes between tiny fleas and the miniscule molecules. Time: 1h Student activities to illustrate the sizes of different cell components and to show students how to calculate cell sizes from electron micrographs. The lesson incorporates an online magnification animation and a downloadable worksheet. Time: 1h A practical laboratory in which students can visualise diffusion into blocks of different sizes. This will teach students some essential skills for internal assessment, and illustrate the concept of surface area to volume ratio. Time: 1h There are some important new skills to learn in IB Biology when it comes to the simple skill of measuring. Professional biologists and IB students are expected to know how precise their measurements are. This series of short experiments illustrates SI units and the skills a student needs to achieve high grades in data collection and processing. Time: 1-2h This lesson plan contains a range of ides for activities to encourage students to engage with the ethical issues which surround the use of stem cells and therapeutic cloning. Time: 1h Students will learn how to draw and label a diagram of the ultrastructure of a liver cell as an example of an animal cell. Using a webcast and revision flashcards the teacher has more freedom to assist students individually. Time: 1h Students learn how to draw and label a diagram of the ultrastructure of Escherichia coli (E. coli) as an example of a prokaryote. Using a webcast and revision flashcards the teacher has more freedom to assist students individually..
Time: 1h Students takes samples from their mobiles phones and grow prokaryote colonies on agar plates. They investigate the hypothesis that mobiles phones harbour colonies of prokaryotes, and that touch screen smartphones are more hygienic than phones with buttons? This activity is combined with a 'webquest' to perfect prokaryote diagrams. Time: 1h A Problem Based Learning activity - to challenge students to compare different types of cells and to outline differences between plant and animal eukaryote cells and prokaryote cells. 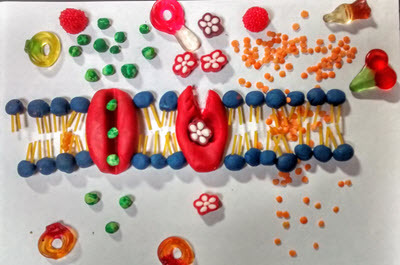 Time: 1h Using all that we know about molecules and about the structure of the cell membranes students are challenged to illustrate the transport of four very different molecules through the membrane using play-doh, spaghetti, food and sweets. 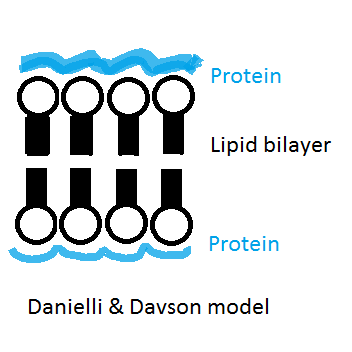 Protein pumps, protein channels, and the phospholipid bilayer are central to the story. Time: 1h Mitosis is a miraculous process. In the making of the three trillion cells of our bodies it manages to faithfully share the chromosomes equally between the daughter cells. 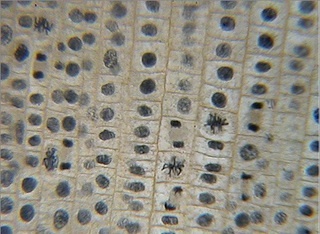 This lesson focuses on the key details which help students achieve high marks in exams and the activities help students to make sense of these details in the context of the whole process of mitosis. Time: 1h This is a great online activity. Students are first guided through the identification of cells in different stages of mitosis using an online simulation. Once they are confidence students count and record the number of cells undergoing mitosis and those which aren't in a range of cell samples. They count the cells, calculate the mitotic index and use this as a prognostic tool to answer some questions. 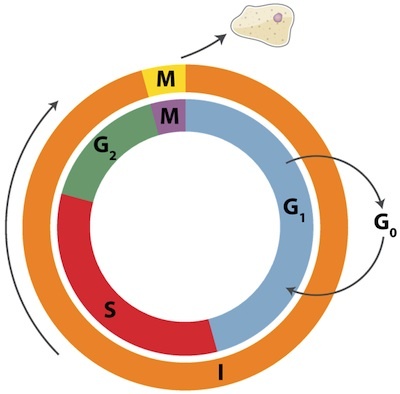 Time: 1h The control of the cell cycle is essential for the normal functioning of the body. Cyclins have a key role in this control. Oncogenes have the opposite effect and effectively remove the control of the cell cycle and the cells divides to form a tumor. This activity introduces students to these concepts without getting too complicated.